The Mamanga easwarar temple is one of the oldest Hindu Kovils (temples) in Batticaloa as well as in the eastern province of the country is situated around three kilometers from Batticaloa town According to some historical records and myths, this temple belongs to the period of 2nd to 3rd Century AD, and constructed at the place where Prince Rama had performed his prayers towards Lord Shiva during his search for Princess Seeta and had placed a handful of rice to denote Lord Shiva. This lump of rice had become a lingam and the area derived its name Maamanga-Easwara According to an ancient book named Mattakalappu Maanmium, the history of the temple is associated with the story of a Dravidian queen by the name of Aadakasavundary who ruled Batticaloa in the 2nd and 3rd centuries AD. This queen was supposed to have had a grotesque, ungainly appearance but when she bathed in the Maamangam River she became a very lovely lady. Since this great lady bathed in the river it was renamed Maamangai nathi. The queen paid much courtesy to the temple and did major renewal work to the temple. That was a time when temples received Majestic acknowledgment and Maamanga temple too received the same.The temple had the name of Maamanga Eashwara earlier, but for some reason, the name changed and is now known as Maamangam Pillayar. Thousands of pilgrims around the world gather at the Maamangam Pillaiyar temple during its annual festival. The weeklong colorful festival includes the thear structure pulling and many thanam and religious special blessings and worship. 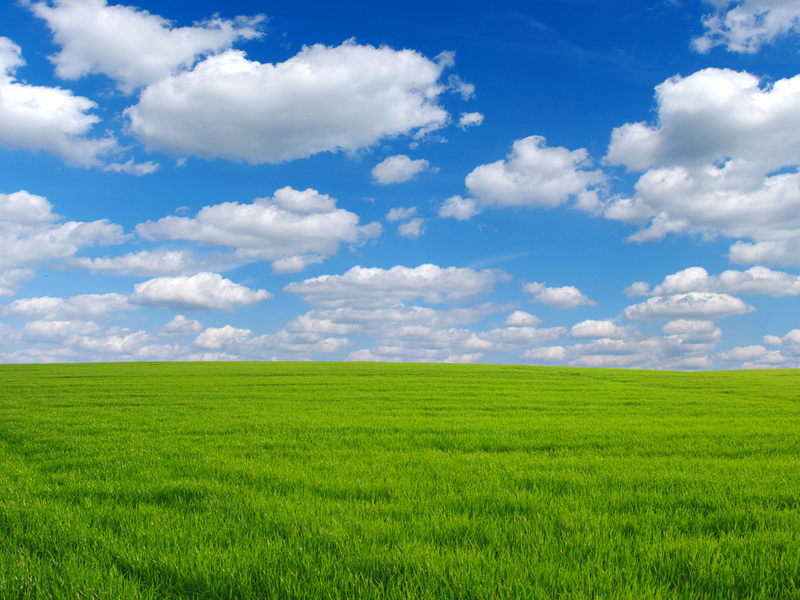 The festival falls during the months of June and July every year. The area is jam-packed with roadside shops with plenty of clothing, toys, and foodstuff. 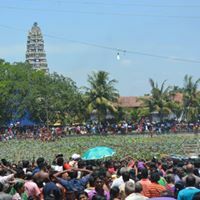 On the final day of the festival called the theetham, pilgrims take a bath in the pond located within the Kovil compound believing that all their sins are washed out. The mamangam temple can be reached by driving through bar road and taking the left at the temple junction. Mamangam Temple is a historically important temple for Hindus living around the world. 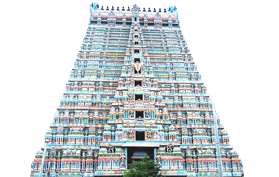 The temple is believed to be built at the exact spot where “Raman” performed his prayers to Lord Siva. The lump of rice that he placed turned into a lingam, this caused the temple to be called Mamanga Easwara Temple. 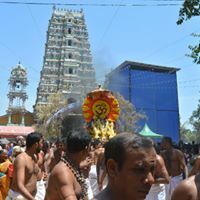 This occurred during the time Raman visited Sri Lanka in search of his wife Seetha.The temple draws thousands of pilgrims for its annual 10-day long ‘theertham’ festival in July. 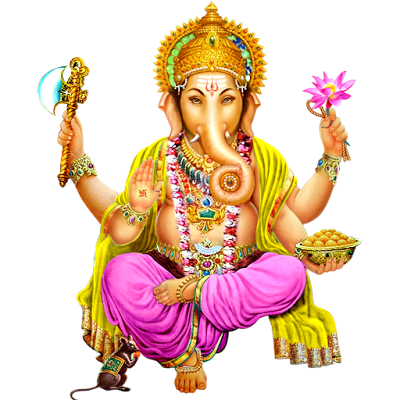 Apart from the main Mamangam Festival, regular daily poojas and special poojas are conducted during main Hindu festivals such as Deepavali, Tamil new year, Navarathri and Thiruvamba etc. The large pond next to the temple adds beauty and significance to this Kovil. On the final day of the annual Mamangam festival, an important religious ceremony takes place in the pond where the devotees take a quick dip in as part of the Hindu ritual. 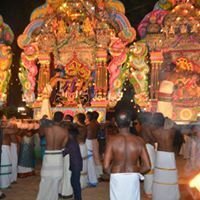 The Mamanga easwarar temple is one of the oldest Hindu Kovils (temples) in Batticaloa as well as in the eastern province of the country is situated around three kilometers from Batticaloa town.